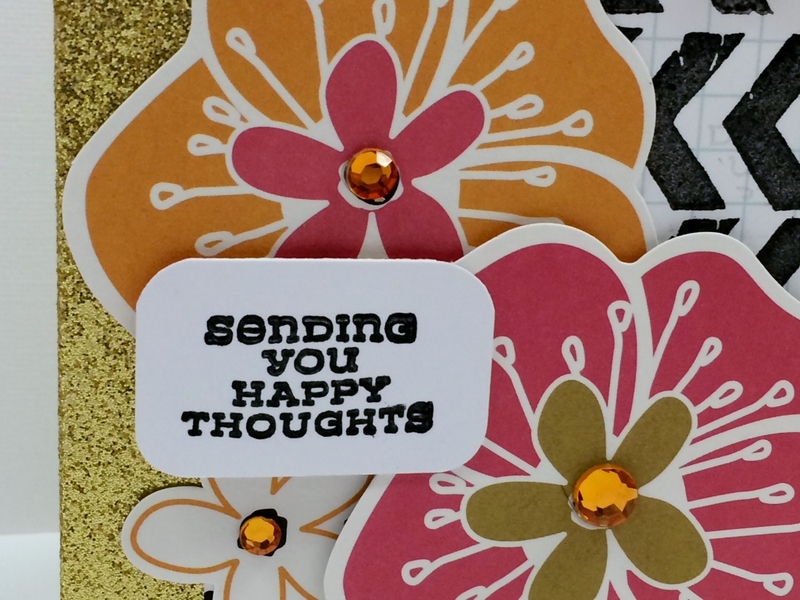 Here is a perfect card for encouraging a friend, who couldn’t benefit from some happy thoughts? The gold and glittered card combined flawlessly with the Yellow Pepper Saffron Soup and the new Hampton Art stamp set. I started with a glittered gold card base and first stamped a 4”x 3” grid piece of paper with the chevron pattern in black ink. Then I cut out the small sentiment piece from white cardstock and stamped it in black ink. 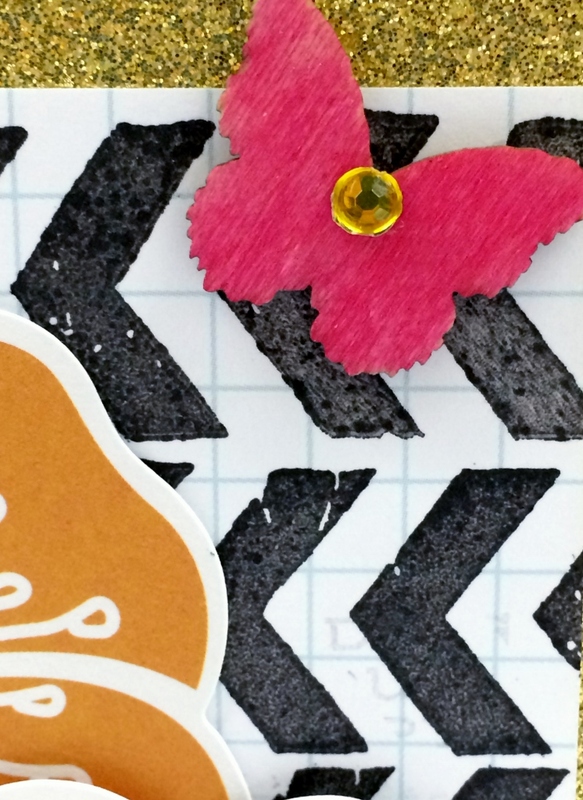 Then I took a pink marker to the wood veneer butterfly to make it match. 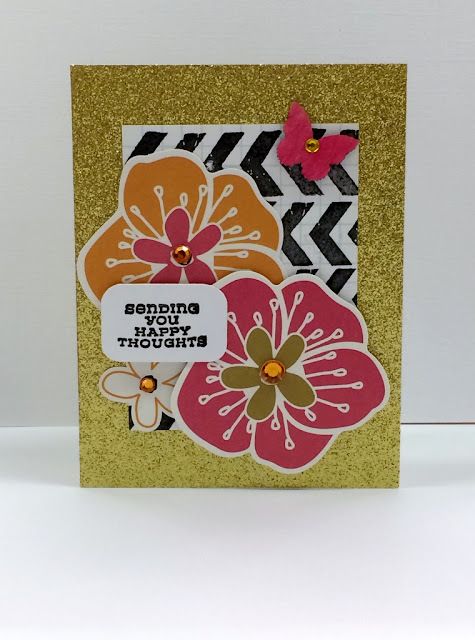 I adhered the chevron mat to the card base using glue dots. Next I started layering the Yellow Pepper Saffron Pea Pod cutout flowers onto the chevron mat as shown using foam dots to adhere the large pink one and the sentiment piece. Last I added some gold gemstones for the final sparkling touch.